Zombies… I’ve seen them and not just on the television, but in real life. They are all around us. The English word “zombi” (the ”e” was added later) can be traced back to a short story, “The Unknown Painter” that was printed in 1838, while the concept of an animated corpse has its roots in Haitian lore. The blockbuster success of movies like “World War Z” or series like “The Walking Dead” prove that there is a great fascination with the undead. 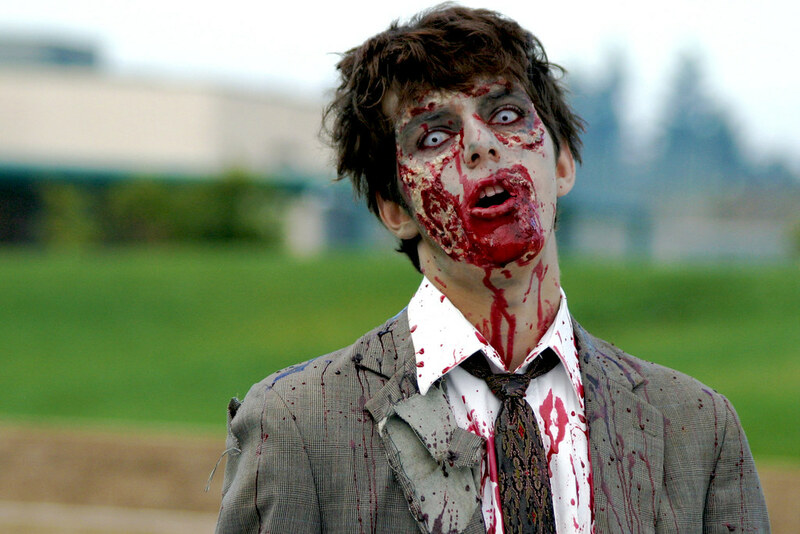 Whether or not you are a member of this craze, you likely have a picture in your mind when you hear the word “Zombie.” “Everyday zombies” might not be as pale, but they share some similarities with the Hollywood variety. A recent Neilsen survey found that the average American spends more than 5hrs watching television a day. In addition, Americans spend 60mins using the Internet on a computer, 67mins using a smartphone and 166mins listening to the radio. In total these devices consume more than 10hrs of our lives every single day or 158 days per year. White earbuds drown out the world and create chasms between people standing just inches away. Why do we insist on filling the void? Some people are bored. Others are attempting to squeeze as much productivity out of every minute of the day as possible. Whatever the reasons, the reality is that modern society has successfully exiled silence. Every day people are bombarded by thousands of messages and advertisements, so that many of us suffer from “information overload,” a term popularized by Alvin Toffler in his bestselling book Future Shock (1970). Many people view silence or downtime as being negative. How long does it take you to pull out your phone to fill the void? I will never forget a trip through the Saharan desert in which I hardly spoke for seven days. At the time, I was working for an entrepreneur in Turkey and a friend of mine seeded the idea that we should visit Tunisia because of the cheap Turkish Air flights. I agreed to the trip, but my friend ended up backing out at the last minute. For a week, I traveled over 1,500 kms through the desert exploring the countryside with no radio, no cell phone, no Internet and no companions. I hardly spoke a word. The silence was a bit scary in the beginning, but after I embraced it, my mind was free to roam through countless subjects. Our minds need silence to connect the dots. Sadly, more and more people shun the silence, filling every void of free time with distractions. There is no purpose or calling in their lives. If you desire to “put a dent in the universe” as Steve Jobs famously said, you must embrace silence and wake up from the fog.